The beauty of New York is its diversity—not just of culture and food and style, but also of opinion. From what constitutes the best pizza, to the worst train, to the hippest neighborhood, every New Yorker has his or her own take. But the one thing we city dwellers collectively agree upon: we could all do with more storage space. Every square foot is precious and every closet sacred. If you feel like your apartment is about to spontaneously explode from holding too much stuff, you’re not alone. 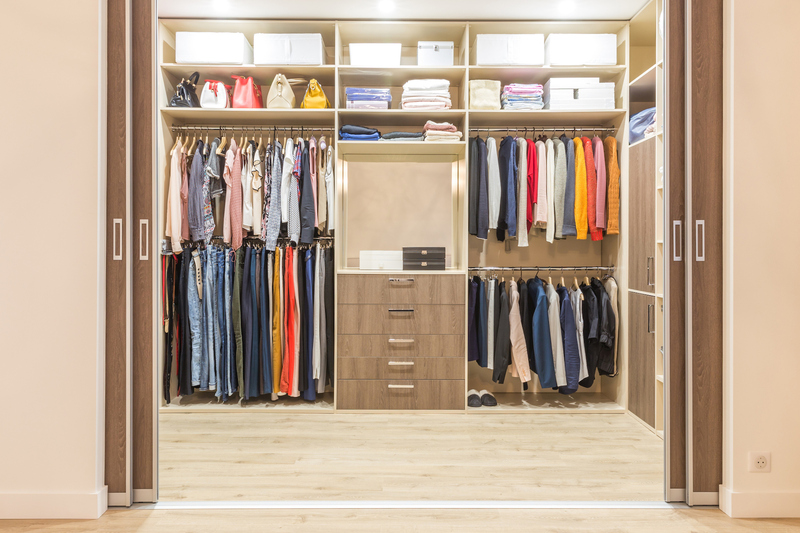 Here are a few storage hacks to help you turn your closets from cramped chaos into spacious calm. Hack #1: Embrace vertical storage. 1. Floating shelves will do the trick. If your apartment has high ceilings, consider turning one of those empty walls into instant storage space. 2. Tall and slender furniture is the name of the game. Think slim bookcases, repurposed ladders, and multi-tier storage racks. Hack #2: Step up your bedroom storage. Install shelves around the perimeter of your room, approximately one foot from your ceiling. Consider under-the-bed space storage. Buy a bed frame with shelves or purchase some inexpensive plastic boxes to store off-season clothes. You can also fill suitcases with clothing you rarely wear, crafting supplies, and anything else that you don’t immediately need. Slide them under the bed and congratulations: you’ve just tucked away your non-essentials as well as your luggage. Hack #3: Get creative with kitchen storage. Buy a colorful pegboard (or paint it), hang it on a frame, and let your pots, pans, and large utensils dangle attractively. Instead of expensive kitchen storage units, utilize mason jars, vases, and baskets for additional storage in your kitchen. Hack #4: Make the most of your bathroom storage. Hang hooks and towel rods behind the toilet. Use every inch of space. The space between your wall and toilet? That’s storage space. The awkward space between your sink and bathtub? Also storage space. Don’t let one inch of your bathroom escape its storage-space potential. Hack #5: Get serious about closet storage. Think scientifically about your hangers. The right ones can actually make or break your closet zen. Also, consider investing in a valet, hooks, or pull-outs. Transform one hanger into a catch-all accessory holder. Try out a hanging organizer and never lose your favorite t-shirt again. Do a bi-annual restock. Buy some storage bins, and do your closet a favor by putting away your summer clothes come October, and your winter weareach May. There are so many savvy ways to find room for your winter clothes, old journals, and treasured keepsakes. The best way to turn your New York apartment into the cozy home of your dreams is to get creative with clever storage hacks. Think about ways you can turn small nooks and crannies into mini storage units. With the right supplies and the right perspective, it can happen for you, and when it does, go out and celebrate with a festive meal at a New York hot spot! Enjoy! There are plenty of buzzed-about restaurants to visit in New York City, but food halls give eaters a unique atmosphere along with diverse food options. They offer diners a chance to experience a throwback to a bygone era, where people could find everything they needed under one roof, with products sold by different vendors who were actively involved in the production process. Today’s food halls have a modern bent, focusing on local sourcing and artisan craftsmanship, and they follow a shift in dining habits. Diners want more variety and less formality, and foods halls are the perfect solution. We put together a guide covering the best food halls the city has to offer. Leave the swanky Columbus Circle shops and eateries and head south for this underground gem. Getting there can be a little confusing, since it shares space with the subway, so use the elevator at 8th and 57th. You’ll find 38 establishments to visit, 20 of which are food and beverage vendors, including Boil Boil Ramen, Bolivian Llama Party, and Doughnuttery. Seeing as it’s located underneath the luxurious Plaza Hotel, the Plaza Food Hall has some more opulent offerings (like $300 caviar), but it also offers more budget-friendly options like authentic dim sum from Chi Noodle and Dim Sum Bar. There’s a good amount of seating too, so you don’t have to worry about scarfing down a sandwich while standing. Gotham West Market isn’t the biggest food hall, but it has some major players. Grab a slice of traditional-style pizza from Corner Slice, or slurp down some ramen at Ivan Ramen Slurp Shop. Gotham West Market also has some lighter fare, like the veggie-packed salads at Genuine Roadside, and seafood dishes at Seamore’s. If you ever find yourself entertaining out-of-towners and can’t figure out what to eat around Times Square, City Kitchen on 8th and 44th is the perfect solution. It still might be inundated with tourists, but you can skip the extra cheese often associated with Theater District restaurants, while making sure that everyone in your party can find something delicious to eat. This Midtown food hall hosts over 20 vendors, including some of the city’s most loved spots like Dough, Mimi’s Hummus, Ovenly, Takumi Taco, and Roberta’s. For those who work in the Midtown area (or commute home through Grand Central), it’s a spot worth knowing about. 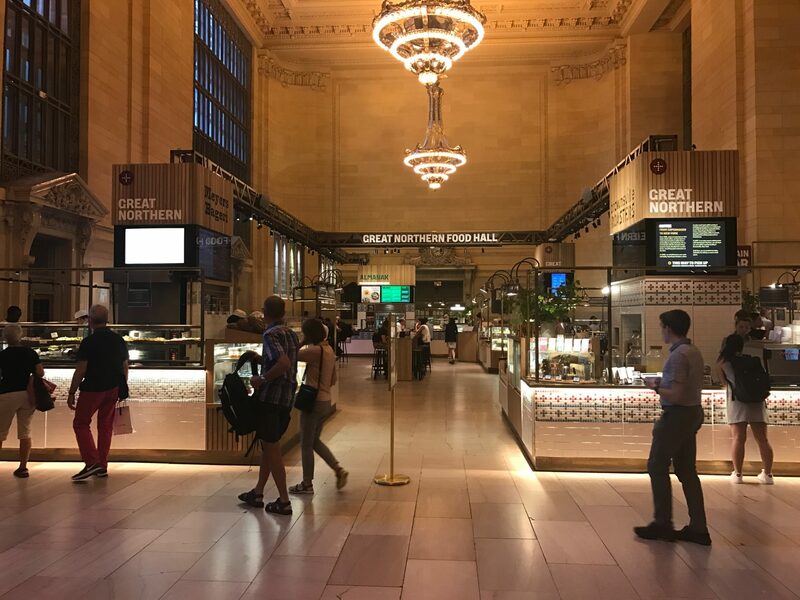 From famed Danish chef Claus Meyer comes Great Northern Food Hall, a Scandinavian-inspired spot in Grand Central. All the food can be packaged up and taken to go, so you can have an amazingly refined desk—or train—lunch if need be. If you have time to sit and eat, do so, and enjoy some noteworthy people-watching. One of the city’s oldest food halls, Chelsea Market is a popular attraction off the High Line, but battle through the crowds and you’ll find options aplenty thanks to the 38 food vendors. If you can’t find a place to sit, take your food up to the High Line or the grass near Chelsea Piers and enjoy the Hudson River views. Close to Chelsea Market is Gansevoort Market, which has a smaller—but no less impressive—selection of vendors. The food here definitely veers toward the more indulgent side, with vendors like Hold My Knots, Chip NYC, Wing Club, and Burger, Inc. selling burgers, fried chicken, and ice cream. An open air food hall in the heart of NoHo, Bowery Market is a far cry from some other food halls. There are only three vendors: Sushi on Jones, The Fruitsand, and L’Arte del Gelato, but what the market lacks in space, it makes up in flavor. You might forget you’re even in the city while surrounded by the beachy white shacks. Essex Street Market is hard to miss, given its brightly colored, instagram-friendly exterior. Inside you’ll find an old-fashioned market with specialty stores, including a greengrocer, fishmonger, cheesemonger, and butcher. Go there for the fresh ingredients, but as you shop, grab some snacks from the prepared food vendors, all of whom have delicious offerings. Canal Street Market has both great shopping and great food. There are plenty of options in the 12,000-square-foot space, including already-established vendors like Boba Guys, Nom Wah Kuai, and Ilili Box. Located in Crown Heights, Berg’n is more beer hall then food hall, but it still makes the list due to its extensive collection of drinks. Go for the endless list of micro brew craft beers, but stay for the food from some of the city’s best vendors: Mighty Quinn’s BBQ, Landhaus, and Maizey Sunday Tacos. One of the newest additions to the Brooklyn food hall scene, DeKalb in Downtown Brooklyn is a massive space with 40 vendors. It brings together some of the best-known spots from other boroughs, like Katz’s and Arepa Lady, with Brooklyn favorites like Ample Hills Creamery and Bunker. Unlike the other food halls on this list, which are more pristine and curated, the New World Mall Food Court in Flushing is hectic and crowded. But there’s no better place if you’re looking for authentic Asian food. Everything under the sun can be found here, from dumplings to takoyaki to scallion pancakes to noodles. Sample Chinese, Japanese, Korean, and Taiwanese food from over 30 food stalls, with most dishes costing just $15 or less. First things first, clean them. This may seem obvious, but give those windows a deep clean of all the dirt, dust, and splatters, and you’ll be amazed at what a difference it makes in the brightness of your home. Next, keep them free of clutter: lose the dark, heavy curtains (opt for translucent shades), and keep them clear of any obstructions (no putting your favorite pottery pieces on the sills). The point is to let in as much natural light as possible. White, matte walls help to brighten the room, and a white, gloss-finished ceiling will reflect light and throw it around the space. Brighten with mirrors and metallics. Take the light you have and double it with mirrors. Mirrors not only reflect light, but they add depth and dimension—like having two rooms in one. Shiny silver or gold accents, art, and accessories have the same effect. So hang a large mirror across from any window, arrange an array of small mirrors in a dark space, and opt for glass, metal, or mirrored tables and lamps. Now we get to the heart of the issue: the actual lighting to make your space lighter and brighter. Here is where you can be the most strategic, where you should make your lighting work its best and brightest for you. Think variety, think big, think practical. Think Variety: A mix of light sources throws light around the room and creates mood lighting when needed. Lamps on end tables, an arc light over your favorite reading spot, a floor lamp aiming upward (which brightens the ceiling when daylight fades), a string of white lights across the wall—all of these sources add light, interest, and mood to your home. Think Big: Got a room that seriously needs light? Try a chandelier or statement fixture. This draws the eye up, opens up the space and makes it seem larger, gives the light that’s needed, and adds impact to the room. But make sure it’s not the only fixture there—remember to highlight all of the space with supplemental lighting around the room. Think Practical: In spots where needed, get as much light from your fixtures as possible by losing the lampshades in favor of glass sconces and wire pendants. In the bathroom, choose sconces with bare bulbs and hang them close to the mirror. In the bedroom, choose incandescent bulbs with soft, yellow light, which promotes relaxation and sleep. Where mood counts, keep the lampshades and nightlights. And no matter what your lighting situation might be, dinner by simple candlelight is always a good idea. Now in addition to scoring a great place in the city, you made it bright where needed, cozy where wanted, and an altogether inviting place to call home. Walk into one of these NYC studios with nothing in your hands but a bottle of wine, and walk out with a unique rendition of a painting you painted yourself, a feeling of artistic accomplishment, the delight of having had a great night, and probably some new friends. This is the typical experience of being at studios like The Paint Place (Upper West Side and Astoria), Paint Along (Kips Bay), and Painting Lounge (Chelsea, Midtown, Harlem, and Williamsburg). These studios provide everything you need to make your art—the canvas, paint, brushes, aprons, instruction, and art piece to emulate—while you provide the wine and the whimsy. These studios also offer private parties, for when you want something a bit more inspired for your birthday, bridal, corporate, or team-building party. Personalized and one-of-a-kind, they’ll even work with you on catering options. Need a little (or a lot) more instruction? The Art Studio NY (Upper West Side) is touted as having the number one rated art classes in NYC. From ‘Fear Free Drawing 101’ to intermediate and advanced drawing, painting, and mixed media classes, this studio focuses on providing technique along with freedom of expression, so that you feel comfortable, confident, and you as an artist. And there’s something for everyone—kids, teens, adults, couples, private lessons, parties, etc. Sign up soon, though, classes sell out fast. NYC art enthusiasts, a quick look through the lists of classes at either Brooklyn Craft Company (Greenpoint) or Make Workshop (Gowanus), and you’ll begin to wonder how you’ll fit it all in. Wanna try your hand at sewing? Will that be with your child or solo? Into the more robust materials? Will it be woodworking or leathercraft? Fascinated by times of old? Perhaps try basket weaving or quilting. Whether you want to make your own lingerie or macrame, needlepoint or soap, learn calligraphy or embroidery, dye or marble, these two arts and crafts havens can make that happen for you. And if you want to turn your newfound craft into a party—be it birthday or bachelorette, corporate or client appreciation—they can make that happen, too. Sweater season is upon us, and what better way to express your personal style than to make your own winter wear? Thankfully, this is New York, where you can do just that. Step into Purl Soho (Soho) or Downtown Yarns (East Village), and be immersed in a bounty of rich color and exquisite yarns, all for sale. Next step: take a class. Learn to knit, or to sew, or to crochet. Learn loom weaving or rug hooking or embroidery. Make a hat, a scarf, some socks, and, yes, even a sweater—all under the guidance of an experienced instructor, using the most vibrant and beautiful yarns. If you’re the type who likes to get a little dirty in your designing, pottery might be just the craft for you. 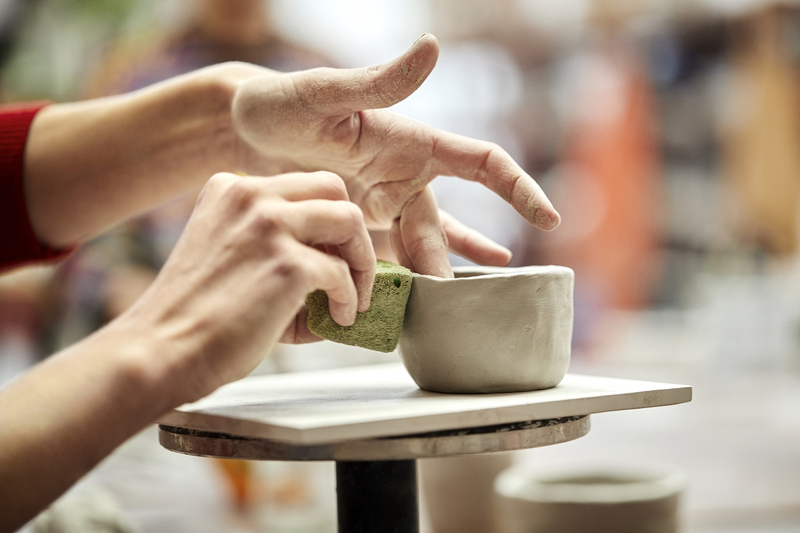 Studios like Mud Matters (Hell’s Kitchen), La Mano Pottery (Chelsea), and Choplet Ceramic Studio (Williamsburg) are dedicated to the art of clay. They each offer classes in wheel throwing and handbuilding, private lessons, kids programs, open studio time, as well as studio space for experienced potters not taking classes. Courses are eight weeks long, but if you’re commitment-shy, you can try it out in a one-day workshop. For the professional, Choplet offers commissioned ceramic work, where designers can start a small line production based on their CAD renderings. The beauty of these studios is that they cater to beginners and professionals alike, as is evident when you walk in and see both types working side by side. For those pondering the finer details of fashion and imagination, jewelry making might be the answer. Brooklyn Charm and Liloveve (both in Williamsburg) are two very different, very inspired jewelry making studios. While Brooklyn Charm dedicates itself to helping you design one-of-a-kind pieces using their vast supply of charms and chains, including such rare materials as taxidermy and vintage materials no longer in production, Liloveve delves into the actual craft of making jewelry from start to finish. Using materials such as silver and gold, Liloveve offers workshops, intensives, and courses from Intro to Silversmithing to Flush Setting and Ring Making. Yes, you can design for your best friend an original best friend charm necklace. Yes, you can make your significant other a personal wedding ring. Just step into one of these charming studios in Williamsburg, and begin the journey. Arts and crafts are clearly not just for kids. There’s something for every art enthusiast in New York, and with this compilation, you can find the path to your own innovation and design. If you can’t get enough of the arts as you make your way home from a day full of crafts, check out the incredible works of art in NYC’s underground art gallery, the New York City Subway. For most New Yorkers, the modern subway car could be described as slightly uncomfortable with muffled speakers and not enough seats. But the cars we ride today are a huge improvement compared to their ancestors’ hundred-year lineage. Subway cars of old had only two doors, ceiling fans, no air conditioning, manually operated doors, and they rained burning cinders onto passersby walking under elevated tracks. 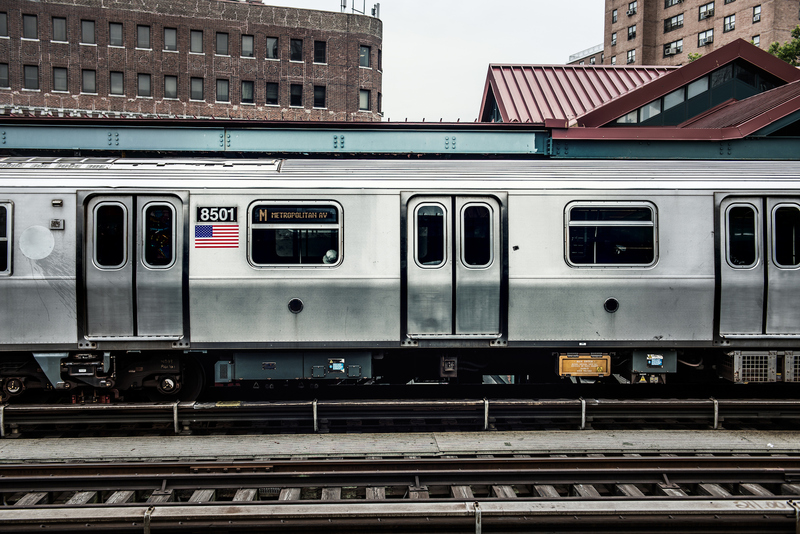 Since the late 19th-century, the subway car has been the constant subject of innovation, with each generation’s technology taking new cars to the next level. Have a look at some of the current subway cars’ predecessors, and you may feel much more grateful for the “luxury” subway car of today! 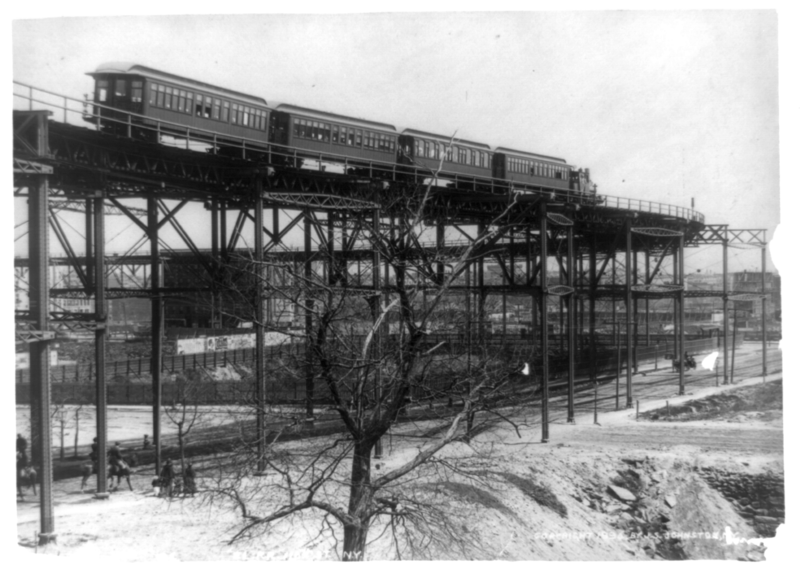 Offering the first-ever alternative to the street-level trolley or horse and carriage, the elevated train debuted in the late 19th century, with the very first line running along Greenwich Street and Ninth Avenue. These cars were made out of wood and were inspired by the western train cars common to the era. These steam-powered locomotives were not without their downsides, they would rain cinder and ash onto those unfortunate enough to walk beneath the tracks. 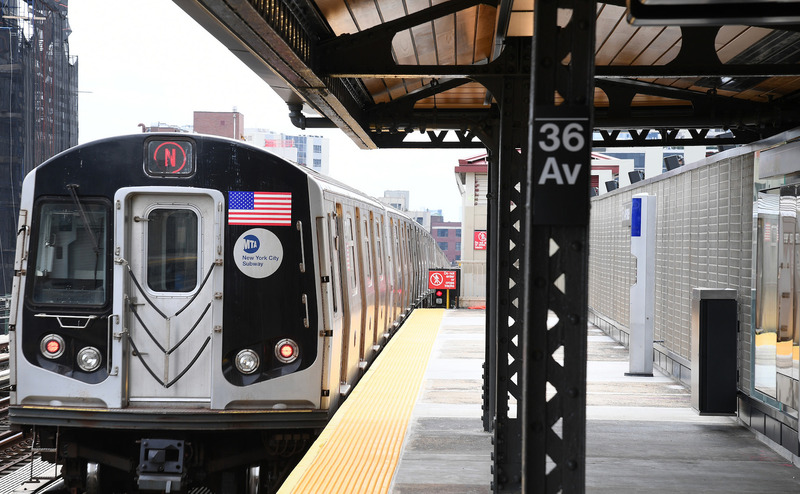 The transportation company IRT kicked off the underground transit party, opening the first underground subway line spanning from City Hall to 145th Street in Harlem. Called “Composite” cars, they had wooden bodies that were covered in copper with a steel underframe. The cars were relatively roomy, but only featured two sets of doors on each side of the car, doors which the conductor had to manually operate. Other than adding a third door in 1910 to ease rush-hour boarding, these cars remained the same for the first ten years of subway history. After New Yorkers discovered the joy of underground, traffic-free transportation, ridership boomed. The demand necessitated more lines, which were built in the 1910s and 1920s. In 1915, IRT debuted the “Pullman”-style car made from stainless steel, and went through at least eight redesigns from then until 1938. 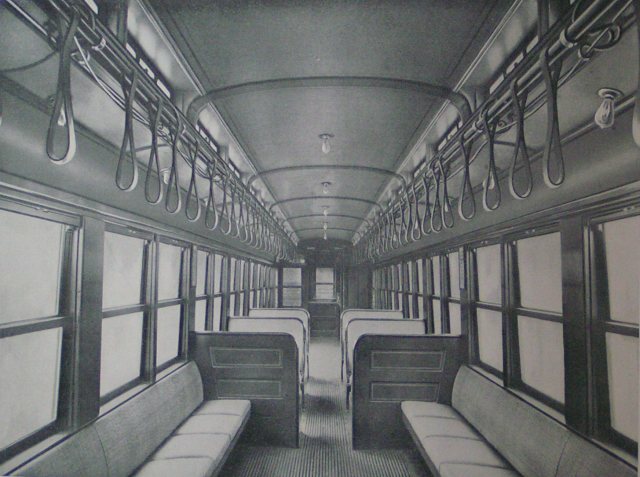 These cars afforded more standing room, and in the same year, rival transportation company BMT fired back with the “Standard,” a steel car that was even roomier and better-lit than the IRT Pullman. Also known as the “City Car,” this competitive model was debuted by the city-owned IND subway company. R-type cars coupled the larger-size of the BMT car with the high speed of the IRT car. Painted a rather-dreary green, these cars were the first to feature four doors on each side of the car, thus making for speedier boarding and disembarking. Rolled out during the Great Depression, they were a positive development in an otherwise bleak time. For a long time, ceiling fans had to suffice as New York City residents crowded onto trains during the hot summer months. 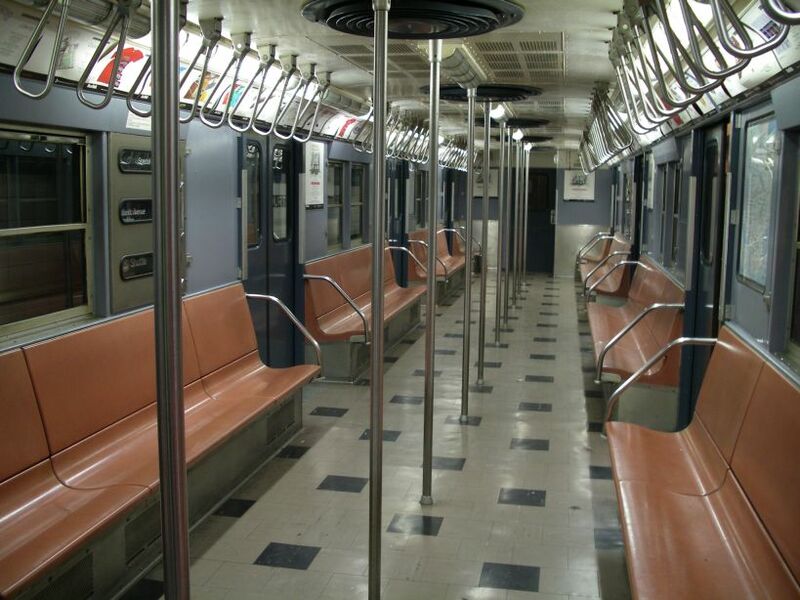 The MTA first began testing air-conditioned cars in 1967, starting with the R-38 model. As air conditioning became more mainstream and thus less expensive, the MTA was able to expand its use of this modern miracle. By the 1980s, air conditioning blasted through each and every subway line, and New Yorkers rejoiced across the boroughs. If you feel like each subway line seems to look different, you’re not entirely wrong; there are now nine different kinds of cars in service, with the most recent model riding on the 7 line. In November 2013, the MTA started testing Kawasaki-built cars that come wired with improved communication technology. This technology makes trains run more reliably, allowing for the countdown clocks you know and love. As you can see, the subway car has a rich and vibrant history formed by healthy competition, radical innovation, and some serious trial-and-error along the way. Every time you sit on the subway, you’re participating in our shared public transit history, which, despite its flaws, still sees over five million riders a day. New York City is well known for its varied and highly coveted real estate options. 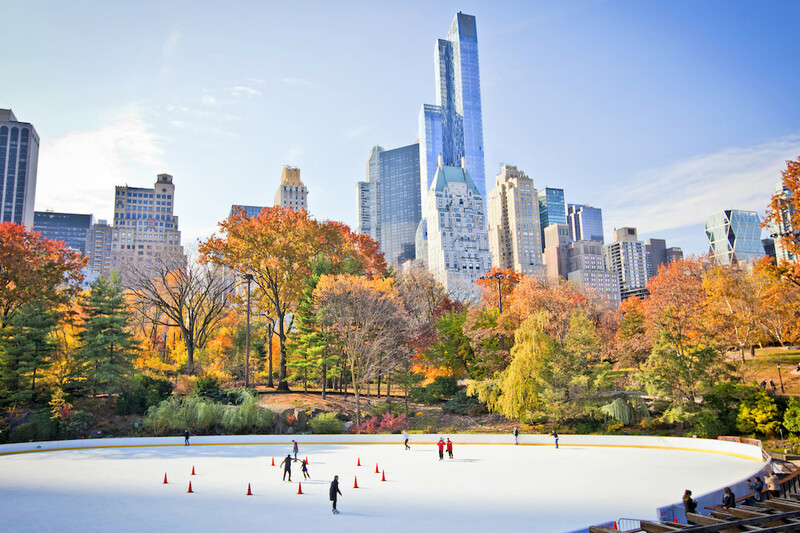 From itty-bitty micro-apartments to palatial family homes spanning over 60,000 square feet, New York City has something for everyone. For most of us who live in NYC, our first or forever home just doesn’t quite fit everything we own. Yet the size of an apartment does not have to determine how big it feels. New Yorkers love comfort, style, and space, and when it comes to the feeling of an NYC home, it’s possible to have all three, regardless of size. 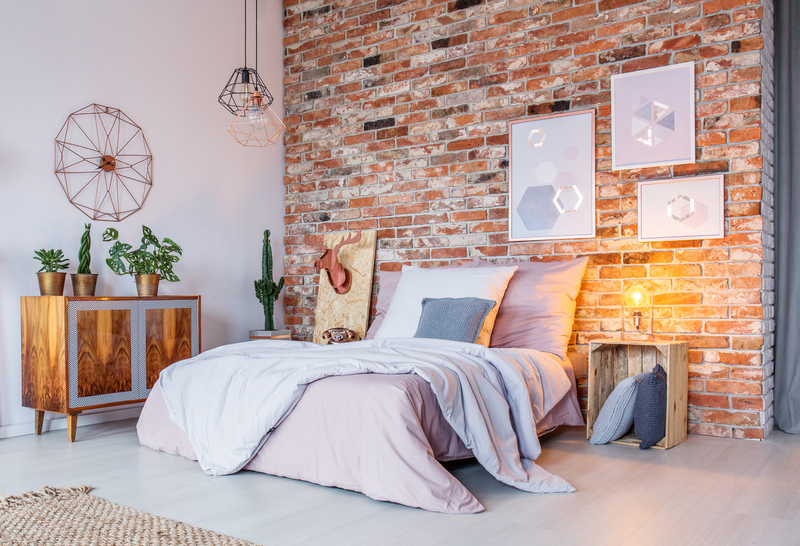 Here are our semi-magic tricks for turning your small home into a space that feels roomy and open. Light gives a space more depth, so, first things first, pull out the paint roller, take down the curtains, and consider the floors. For the walls, while it’s fine to have an accent wall, you’ll want to paint the rest of them white or very light so that they reflect light, making the space feel airy. Ditto for the floors—keep away from dark flooring which absorbs light. Throw down a light-colored rug or, better yet, a vertical-striped rug, which will elongate the room. And give your space the depth it deserves by keeping your windows unencumbered by bulky curtains; instead, opt for roman shades or blinds. First, regarding accessories, it’s best to go with a few large items rather than many small items. A mass of tiny chachkies only makes a space look cluttered; whereas a few large pieces bring order and style. If you have tons of stuff, let go of what no longer serves you and arrange the rest according to color. Coordinating by color makes a lot of little items feel like one, cohesive piece. Finally, consider turning one large room into “several” rooms by separating areas with rugs. Lay down a rug to mark the living room, another rug to carve out your dining room, and another one for your study or office. If you are in the market for a New York City home—small or large—contact me for assistance in finding a home. I have access to a selection of homes currently on the market, ranging from 400-square-foot studios to 15,000-square-foot duplexes. If you had to name some things that renters insurance covers…what would you guess? Your apartment gets burned in a fire? Correct. Or the whole thing floods because of pipes that burst? Yup. Those are two big things (not to mention extremely serious, scary, and important things) that renters insurance covers. You buy insurance against them because you want to be protected in the rare event—knock on wood—that they ever happen. But the truth is, renters insurance also covers incidents that occur much more frequently. They might seem smaller and less scary, but they’re frustrating, annoying, and time-consuming to deal with. And we’ve found that most people have no idea what they are. 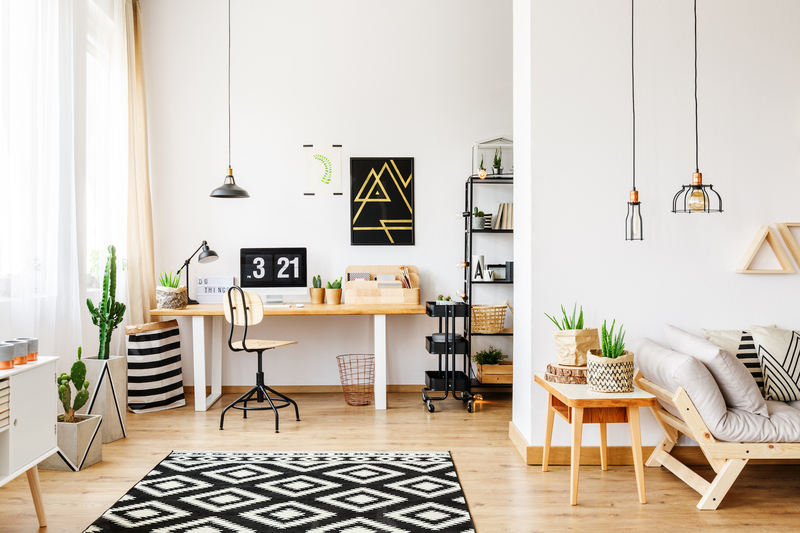 So, we’re here with a lucky list of 13 things you might not know that affordable renters insurance can cover when bad luck rolls your way. Let’s take a look. 1. You crack your phone screen. 2. You leave your phone in an Uber. The conversation was great, and the ride was smooth, but as you watched your Uber driver speed away, you realized your iPhone went with them. When you can’t track it down and it’s gone forever, you’ll be glad you got that Jetty Portable Electronics Power-Up for additional 5-star-worthy coverage. 3. Someone steals your bike. Even if you’re not at home, a stolen bike is usually covered by renters insurance. Let’s say you lock up your bike outside your friend’s place for the evening, and when it’s time to go, it’s nowhere to be found. Defeat! You call an Uber and reluctantly get in, while looking around to make sure it’s definitely, really, 100% gone for good. Bright side: Renters insurance typically covers the cost of replacing your stolen bike. So take comfort in knowing renters insurance expands beyond just items that stay in your apartment. 4. Your watch gets swiped at the gym. 5. The apartment above yours floods…and water damage ruins your couch. It’s rough enough when you live below people. After all, it really does seem like some of them have an all-night bowling alley up there. So when you come back from the store to find your microsuede couch directly below what appears to be a raincloud on your ceiling, renters insurance will help to cover the cost of a new couch. Plus, if fixing that hole means you can’t stay in your place, renters insurance could also cover your (reasonably priced) hotel room. 6. You forgot about that candle you left burning…and your wardrobe goes up in flames. We feel you: Those fig-and-basil scented candles were hard to resist and it made your place smell like an Anthropologie store. And somewhere in your private Florence & the Machine music video reenactment, your wardrobe of breezy sundresses and cozy furs went up in flames. Good news: Your wardrobe (both the furniture and the clothes in it) would be covered by renters insurance. 7. Someone breaks into your apartment and steals your TV. They told your neighbors they were your friends and helping you move. Or, they came in through the fire escape and escaped with your beloved 52” flat screen. Either way, this is what renters insurance theft claims were made for. 8. Your DSLR camera gets stolen while you’re on vacation. When you put your camera down on the beach and it’s gone before you can say, “Cheese,” you’ll be extra glad that renters insurance covers it. Thank goodness you had backed up all of your photos the night before, right? …Right? 9. You throw a party and your guest breaks her arm. We all have that friend. That delightful, funny, wild, and clumsy-as-*$%^ friend who somehow accidentally managed to break her arm in your place during your housewarming party. Yep, renters insurance even helps cover Klutzy Kristy’s medical bill when she discovered the whole don’t-roller-skate-indoors thing the hard way. 10. Your Gibson Les Paul guitar falls off the wall stand. Okay, maybe your roommate was right, and you should have used stronger wall anchors for that guitar hanger hook. Or any wall anchors, really. But this isn’t the time for blame; it’s time for grief and healing. And renters insurance. (Your broken guitar is covered if you’ve got the Jetty Valuables Protection Power-Up). 11. Someone steals your laptop from your car. You can breathe a little easier about the Chromebook you had stashed under the seat. 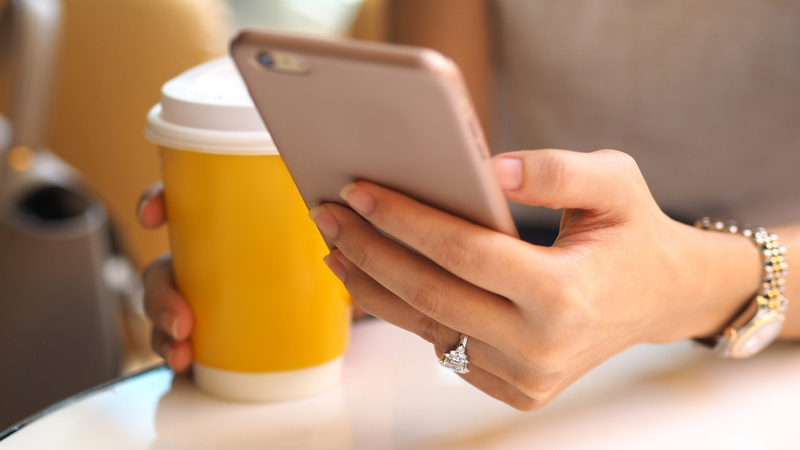 While your car itself isn’t covered under renters insurance in the case of a break-in (your car insurance should help with that), electronics typically are. 12. Your place gets bedbugs. This even gave us the heebie-jeebies to write. They’re the insect version of He Who Shall Not Be Named. Just the word alone strikes fear into the hearts of both city and country dwellers. But fear not: With Jetty’s Bedbugs Coverage, you’ll get $300 toward the removal of those pests so you can get on with your life. 13. Your engagement ring is stolen on your honeymoon. Did someone steal your wedding ring on vacation? In the case of Jetty Renters Insurance, if your jewelry is stolen (even while out of the country), you’re covered for up to $1,500. If you have the Jetty Valuables Protection Power-Up, you’d be covered up to the full value of the ring. The high-profile bathroom fixture is losing its charm in new home construction, according to a survey; meanwhile, tricked-out shower stalls are hot. Oct. 2, 2014 10:17 a.m. ET What’s the greatest thing since indoor plumbing? His-and-hers shower stalls. But say bye-bye to the bidet. Pantone’s color of the year is Radiant Orchid; it’s everywhere at the AD Home Design Show, even brightening up a BlueStar range.